Casework and interiors, designed and built from scratch to suit. Truly custom. 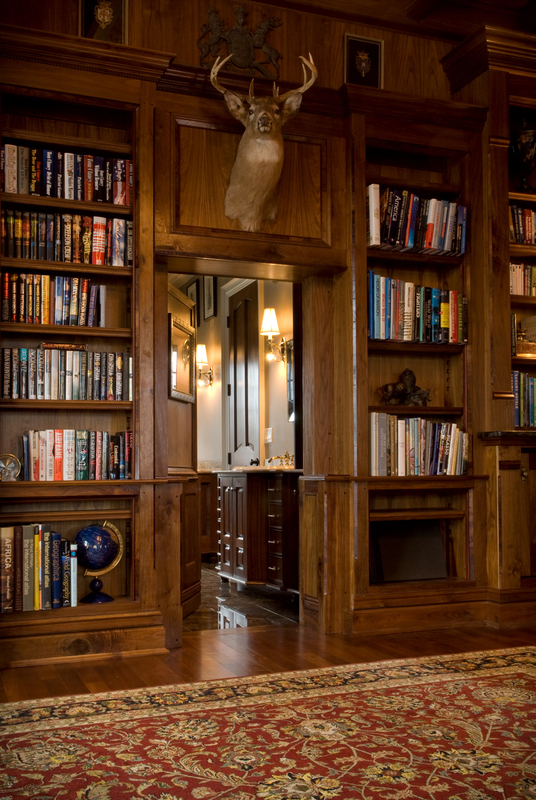 The library in this country home features floor-to-ceiling walnut bookcases with custom moulding & paneling. The cases are fitted with solid wood frame & panel doors and adjustable shelves. The secret door to Bruce Wayne's private bathroom pivots on a steel bearing. The casework is inlaid with wenge, bloodwood, and burled walnut. The burled walnut panel moulding was milled from Remington rifle stock scraps. The faux beams are milled from solid walnut. The ash tongue-and-groove paneling is laid out in a herringbone pattern. Every gentleman's library must have a well stocked bar. The casework is wired with lights and integrated appliances. The cases in this study are solid cherry with walnut trim. Paneling is veneered to match. The cases on the left hide a double stack of file cabinets behind faux doors & drawers that look just like the real thing on the right. The coffered ceiling is finished in a green glazed enamel with a subtle crackle that reveals the cherry beneath. Massive oak beams are hand planed and polished. 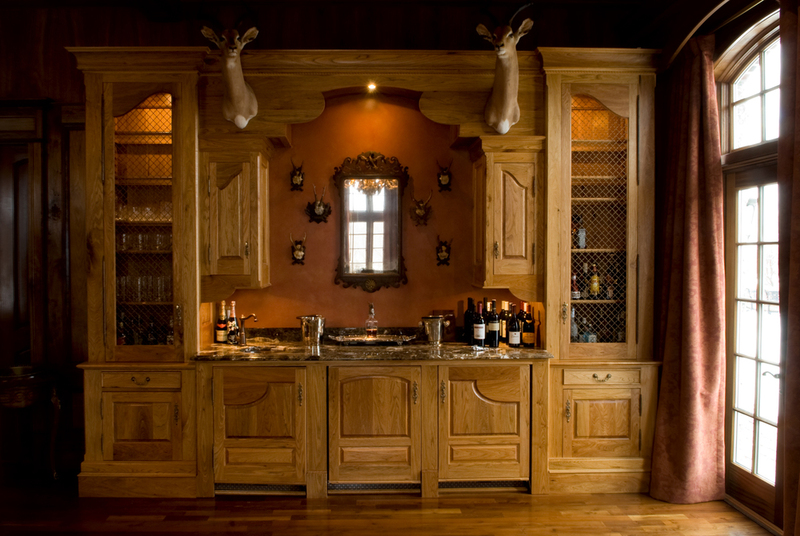 Custom wine racks are a perfect fit.